Man Utd have been tipped to go on a spending spree this summer, and it could result in a star-studded and much improved starting XI next season. 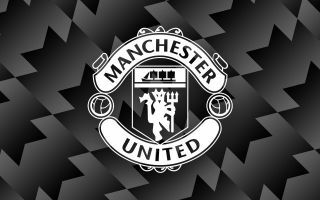 The Red Devils have been linked with three marquee signings at the end of the season, with Kalidou Koulibaly, Ivan Rakitic and Aaron Wan-Bissaka being targeted in a splurge which could cost in excess of £170m. Further, Inter defender Milan Skriniar has consistently been linked with a move to Old Trafford too, and so if the Premier League giants make the signings that they hope to secure, it could lead to an impressive starting line-up next year. Ultimately, the biggest decision that still needs to be made is who will be their next permanent boss, with Ole Gunnar Solskjaer appointed on an interim basis until the end of this campaign. Following on from that, the players being touted as potential signings below will have to fit into United’s plans moving forward, but there is little doubt that the line-up suggested could seriously challenge for major honours moving forward. It would give the United boss plenty of quality and depth, as well as addressing key positions in the team with a combination of long-term replacements and fundamental experience to ensure that they provide a leap in quality. Time will tell what deals come off, but this looks like a thoroughly impressive potential Man Utd starting XI, as touted by The Sun. Possible Man Utd XI next season: De Gea; Wan-Bissaka, Koulibaly, Skriniar, Shaw; Pogba, Matic, Rakitic; Lingard, Rashford, Martial.